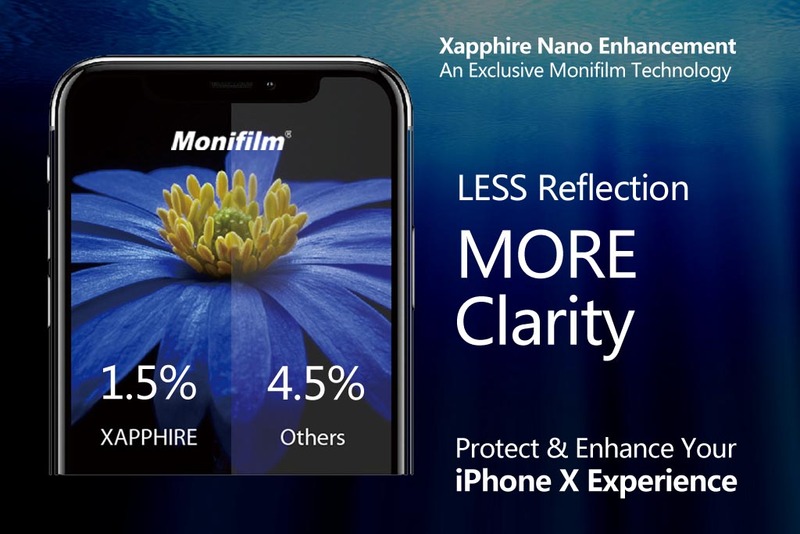 Monifilm Xapphire Shield cuts down iPhone X Screen Reflectance from 4.5% to 1.5%. This greatly enhanced your iPhone X viewing experience. But it does not stops there! Right Group and Monifilm had always been the leading company to help our business and client to stay ahead in the maket of iPhones accessories – our Xapphire Enhancement Tempered-Glass technology is one of them. Watch the Video and experience the difference of Monifilm Xapphire Shield. 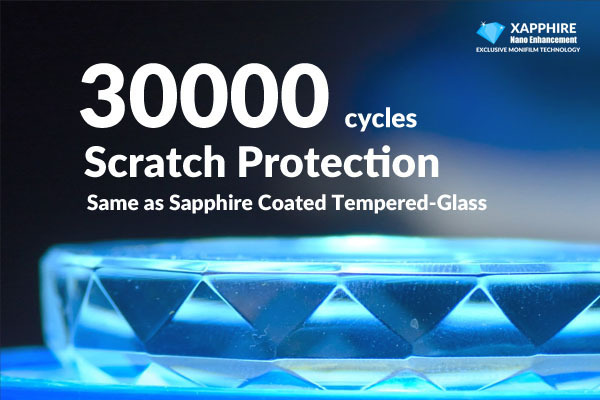 Now top that up with a 30000 cycles scratch resistance, (10 times higher than industrial standard) , making Monifilm Xapphire Shield Screen Protector series a “no brainer” choice for iPhone X and iPhone 8 Owners because it simply means their iPhones will have a Longer Lasting Protection, a Better Viewing Experience and Save More Money in the long run. P/S: We mentioned in one of our previous article that the iPhone 8, iPhone 8 Plus and iPhone X launched by Apple last year have got mixed result in their sales figures ( Check out this article we had curated on the sales and specification comparison of iPhone 8, iPhone 8 Plus and iPhone X ). Why Monifilm Xapphire Shield Products may be one of the best choice iPhone X and iPhone 8 owners can have? One obvious reason is that iPhone 8, iPhone8 Plus and iPhone X are by far, the most expensive iPhones in the market. Now, when consumer paid a “Premium Price” for their new iPhones, a “Premium” screen protection is the next rational purchase. Monifilm Xapphire Shield Screen Protectors may very well be one of their best choice to have. 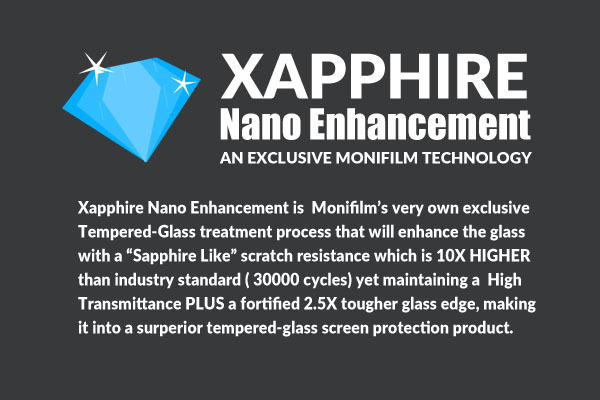 So what exactly is Monifilm Xapphire Nano Technology? Samsung S7/S7 Edge/ S8 / S8 Plus and other also popular android smart phones model. Right Group Monifilm Xapphire Screen Protector will also be the highlight at the up coming Computex Taipei 2018 Show.